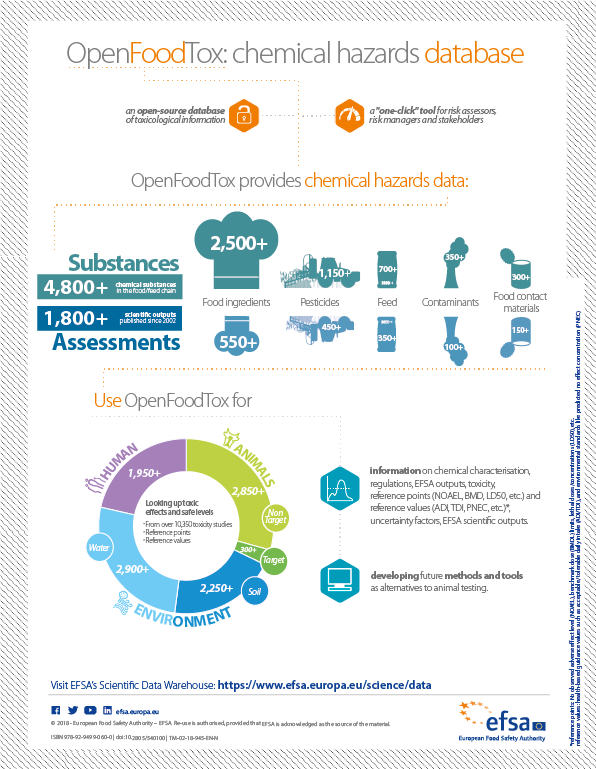 OpenFoodTox is the new EFSA database that provides instant access to a wealth of information from over 1,650 EFSA scientific outputs about the toxicity of chemicals found in the food and feed chain. An editorial published in the EFSA Journal today describes how to use the database. 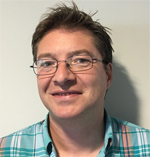 EFSA scientists Jean-Lou Dorne, the toxicologist who led its development, and Jane Richardson, lead scientist on open data, explain why this is an important milestone in EFSA’s efforts to increase transparency and open its data up for others to explore and re-use. Jean-Lou, what is special about this database? Jean-Lou: Well, all the information in the database is already publicly available, but until now you would have to look it up in over 1,650 separate scientific opinions and conclusions. OpenFoodTox gives quick and easy access to the most important information from that huge body of work. It provides the summary toxicological information used by EFSA in its risk assessments since 2002 and has taken over five years to compile. Now we’re ready to share this abundance of data with the world in an accessible way, which further adds to EFSA’s transparency efforts. Jane, what information does it contain? Jane: The database gives information on over 4,000 chemical substances, related EU legislation, the EFSA output identifying their critical effects and the safe levels set by EFSA scientific panels, such as tolerable or acceptable daily intakes. And it’s a living tool as the database will be updated on a yearly basis. Which kinds of chemicals are we talking about? Jean-Lou: They come from all the different areas in which EFSA is responsible for chemical risk assessment: pesticides, food additives, flavourings and nutrient sources, feed additives and both natural and man-made contaminants. So, not only does it contain information on the critical health effects for risk assessment for humans – such as liver or mammary toxicity – but also for farm animals, pets and species of ecological importance such as bees and fish. Jane: It’s a click-of-a-mouse tool for scientists and decision-makers to search and access key toxicity information by substance. The experts on EFSA’s scientific panels and our staff members will also consult it – especially for substances that are assessed in more than one scientific or legislative area. The database could also be useful to civil society groups, food operators and members of the general public who want to gain more detailed insights on the assessment of the safety of chemicals in food. We’ve also structured the data to make it compatible with other international databases – EFSA’s publications are already linked up with the e-Chem Portal of the Organisation for Economic Cooperation and Development (OECD), a tool used by regulators all over the world. Do you have any future plans for the tool? Jean-Lou: Yes, definitely. Right now you can access the database through EFSA’s Scientific Data Warehouse but we are also considering developing a smartphone app to make it even more accessible. In terms of the contents, in the future we hope to include additional information on toxicokinetic properties of chemicals (i.e. the processes by which potentially toxic substances are handled and eliminated in an organism). Adding more information like this, the database could support the development of computer models for predicting chemical toxicity as alternatives to animal testing in areas where it’s not mandatory. 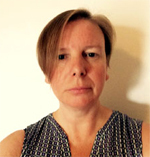 Jane: We’re really enthusiastic about its potential and we hope the scientific community and anyone with an interest in toxicology can make good use of it for their own research or for analysing EFSA’s work.